Contact occurs any time a coach has any face-to-face contact with a prospective student-athlete or the prospect’s parents off the college’s campus and says more than hello. A contact also occurs if a coach has any contact with the prospective student-athlete or his or her parents at the prospective student-athlete’s high school or any location where the prospect is engaging in competition or practice. Contact period is the time when a college coach may have in-person contact with a prospective student-athlete and the prospect’s parents on or off the college’s campus. 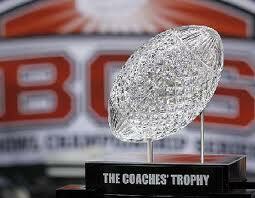 The coach may also watch the prospective student-athlete play or visit his or her high school. The prospect and the parents may visit a college campus, and the coach may write and telephone during this period. Cooperative principle imposes an affirmative obligation on NCAA member institutions (and their representatives) to assist the NCAA enforcement staff in developing full information about potential violations. An important element of this principle requires that all individuals who are subject to NCAA rules protect the integrity of an investigation and maintain confidentiality throughout the process. The enforcement staff is responsible for investigating potential rules violations; however, institutions and their representatives are also responsible for investigating potential infractions and reporting all relevant information to the enforcement staff. Dead period is a time when the college coach may not have any in-person contact with the prospective student-athlete or the prospect’s parents at any time. The coach may write and telephone during this time. Evaluation is an activity by a coach to evaluate a prospective student-athlete’s academic or athletics ability. This would include visiting the prospective student-athlete’s high school or watching the prospect practice or compete. Evaluation period is the time a college coach may watch a prospective student-athlete play or visit the high school but cannot have any in-person conversations with the possible recruit or the parents off the college’s campus. The prospective student-athlete and the parents can visit a college campus during this period and a coach may call or write during this period. Failure to monitor is a serious violation that is similar to lack of institutional control but considered less significant. Violations that result from a failure to monitor are usually limited in scope and do not involve widespread inadequacies in compliance systems and functions that are often found in lack of institutional control cases. Institutional control is the efforts institutions make to comply with NCAA legislation and to detect and investigate violations that do occur. 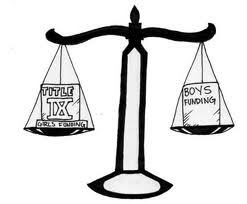 NCAA member institutions are obligated to maintain appropriate levels of institutional control. Major violation is any violation that is not considered secondary. Major infractions usually provide an extensive recruiting or competitive advantage. Alleged major infractions are investigated by enforcement staff and can lead to severe penalties against the school and involved individuals. National Letter of Intent is the document a prospective student-athlete signs when he or she agrees to attend the designated college or university for one academic year. According to the terms of the National Letter of Intent program, participating institutions agree to provide athletics financial aid for one academic year to the student-athlete, provided he or she is admitted to the institution and is eligible for financial aid under NCAA rules. An important provision of the National Letter of Intent program is a recruiting prohibition applied after a prospective student-athlete signs a National Letter of Intent. This prohibition requires participating institutions to cease recruitment of a prospective student-athlete once a National Letter of Intent is signed with another institution. Notice of allegations is a letter that informs senior leadership of the involved institution of the inquiry and requests its cooperation during the investigation. The notice is sent when the enforcement staff determines enough evidence exists to indicate major infractions. Official visit is a prospective student-athlete’s visit to a college campus paid for by the college. The college can pay for transportation to and from the college, room and meals (three per day) while visiting and reasonable entertainment expenses, including three complimentary admissions to a home athletics contest. NCAA recruiting bylaws limit the number of official visits a recruit may take to five. Postseason ban is a penalty applied only in the most egregious cases. The postseason ban prevents a team from participating in any postseason competition, including conference tournaments, NCAA championships and bowl games. Prospective student-athlete is the title given when a student enters ninth grade. It also applies when, before a student’s ninth-grade year, a college gives the student, the student’s relatives or their friends any financial aid or other benefits that the college does not generally provide to prospective students. Quiet period is a time when the college may not have any in-person talk with the prospective student-athlete or the parents off the college’s campus. The coach may not watch the prospect play or practice.The prospective student-athlete can visit college campuses during this time and a coach may write or telephone. Repeat violators is when the status of a program if the Committee on Infractions finds a major violation has occurred within five years of the starting date of a major penalty. For this provision to apply, at least one major violation must have occurred within five years after the starting date of the penalties in the previous case. Secondary violation is an isolated or inadvertent violation that provides (or intends to provide) only minimal recruiting, competitive or other advantages. A secondary violation does not include extra benefits or any significant recruiting benefits. If an institution commits several secondary violations, they may collectively be considered a major violation. Secondary violations occur frequently and are usually resolved administratively. Summary disposition is a cooperative process among the institution, involved individuals and the NCAA enforcement staff. If these groups agree about the facts and the penalties presented in the report, an in-person hearing may be averted. The Committee on Infractions reviews the report in private and decides either to accept the findings and penalties or conduct an expedited hearing. An institution that would become a repeat violator cannot use the summary-disposition process and must go before the Committee on Infractions. Unofficial visit is any visit by a prospective student-athlete and their parents to a college campus paid for by the prospective student athlete or the prospect’s parents. The only expense the prospective student-athlete can receive from the college is three complimentary admissions to a home athletics contest. The prospect may make as many visits as he or she likes and may take the visits at any time. The only time the prospective student-athlete cannot talk with a coach during an unofficial visit is during a dead period. Verbal commitment is the phrase used to describe a college-bound student-athlete’s commitment to a school before he or she is able to sign a National Letter of Intent. A college-bound student athlete can announce a verbal commitment at any time. While verbal commitments have become popular, they are NOT binding on either the college-bound student-athlete or the school. Last week the NCAA leveled harsh penalties at Penn State’s football program on Monday for its involvement in covering up sexual abuse by former coach Jerry Sandusky — including stripping the school of all wins from 1998 to 2011. The penalties were directly aimed at changing a culture that put football over the welfare of children, also included a $60 million fine, a bowl game ban for four years and a scholarship reduction of 10 per year for four years. “As we have examined and discussed this case, we’ve kept foremost in our thoughts the tragic damage that has been done to victims and their families,” NCAA President Mark Emmert said. “There is no action we can take that will remove their pain and aguish. For more on the sanctions, click here. New language has been added to the high school baseball rules to re-emphasize that non-wood bats cannot be altered. This additional note in Rule 1-3-2 was one of four rules changes approved by the National Federation of State High School Associations (NFHS) Baseball Rules Committee at its June 3-5 meeting in Indianapolis. All rules changes were subsequently approved by the NFHS Board of Directors. 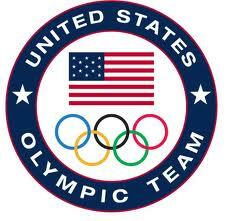 The complete roster for the 530-member U.S. Olympic team for the 2012 London Games (updated as of 7/13/12). Athletes listed by sport, with their respective discipline or event. 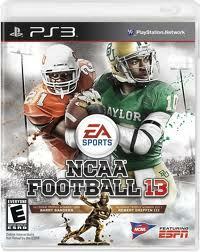 EA SPORTS NCAA Football 13 is now available in North American retail stores. For the first time ever, fans can experience the thrill of playing with some of college football’s greatest athletes in the new Heisman® Challenge mode. Even though the temps are in the high 90’s across the United States… it’s time for some football. EASports have just released NCAA Football 13. The first thing you’ll notice is the gameplay. The quarterback has some new step-off animations – 20, in fact – that make passing feel a little more fluid. There’s also indicators to let you know how your receivers are positioned, though I felt there were instances where the defense reads them just a little too closely. (Thankfully, the “blind swats” that were such a pain in previous versions are gone – the defender now has to see the ball to take a shot at it.) The running game shows some signs of improvement as well, with better read-outs of hot routes and the ability to change it on the fly if you deem it necessary. The best way to determine a major college football champion seemed so obvious to so many for so long. Just have a playoff. No. 1 will play No. 4, and No. 2 will play No. 3 on Dec. 31 and Jan. 1. The sites of those games will rotate among six bowls. The Rose Bowl in Pasadena, California, is guaranteed a spot, and the to-be-determined site of the newly formed bowl created by the SEC and Big 12 is likely to be another. 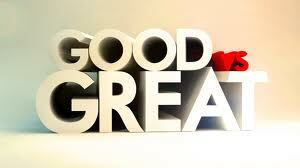 One of the words that are way overused in our society is the term “Great”. Everyone wants to just throw that term on the table without evaluating the traits that make up the word. It’s a joke how people like throwing this word around like they giving out change in a toll-booth. To be great at anything it means that you have established yourself in an elite status of your peers.